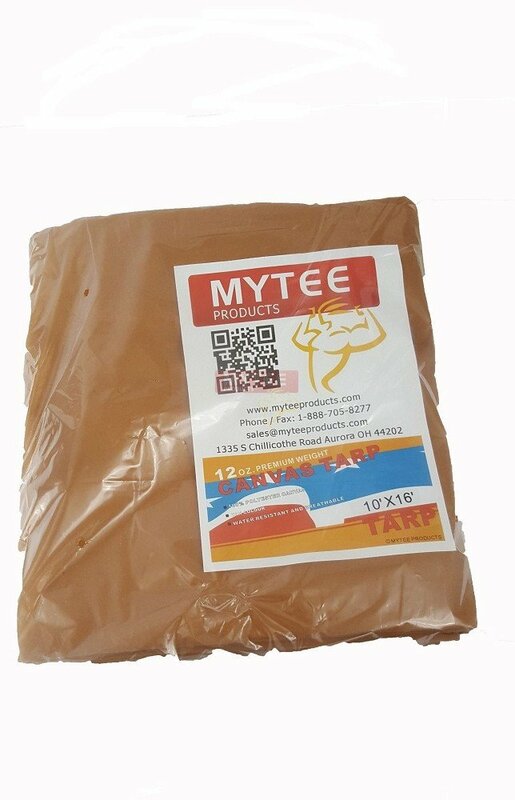 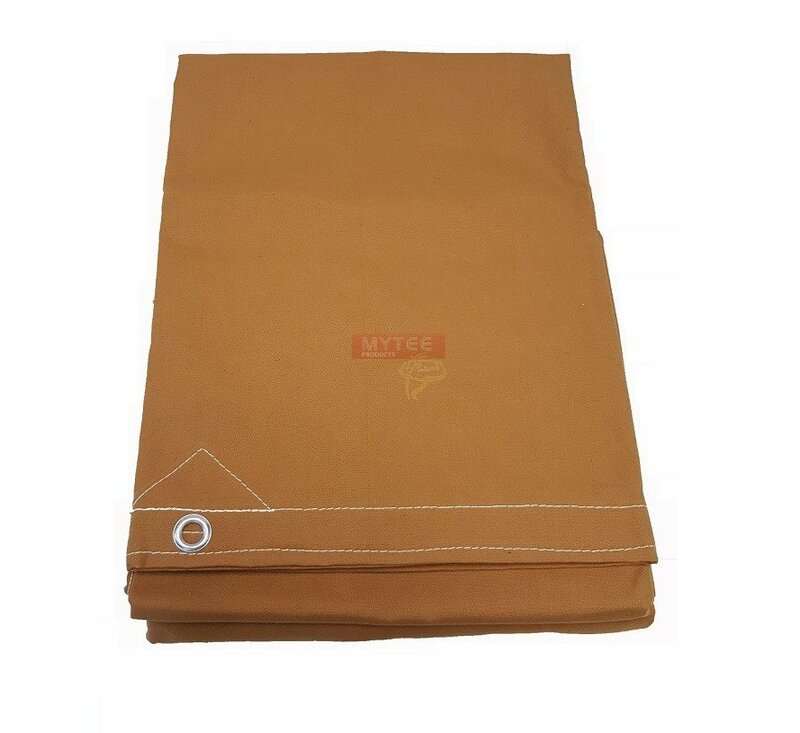 Heavy Duty water resistant 6' x 8' (finished size) Canvas Tarps from Mytee Products are made with 12 Oz Polyester Material. 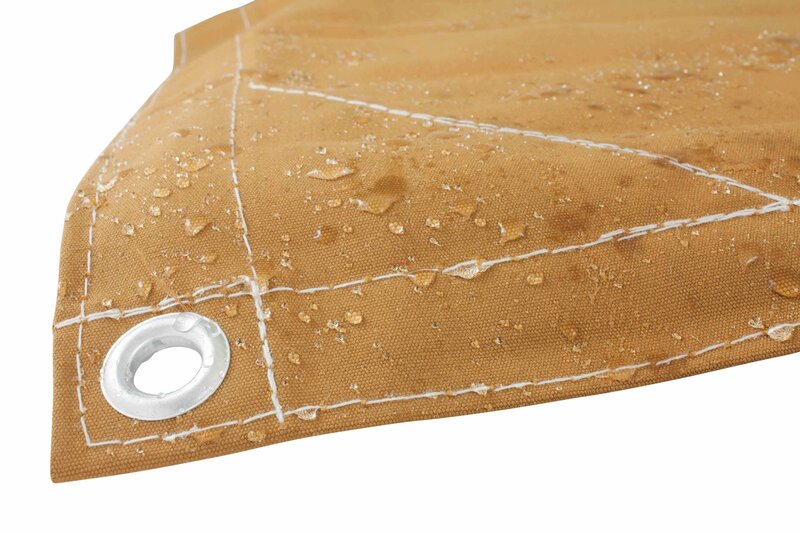 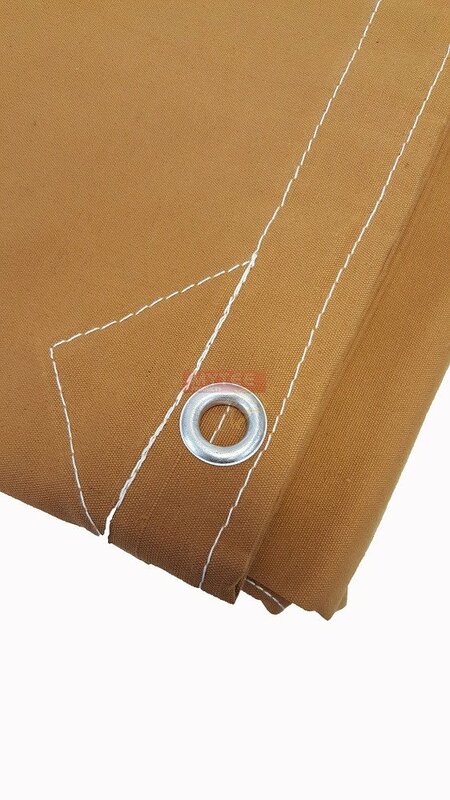 You will find double Stitches on this Canvas Tarps and has Grommets at every 30". 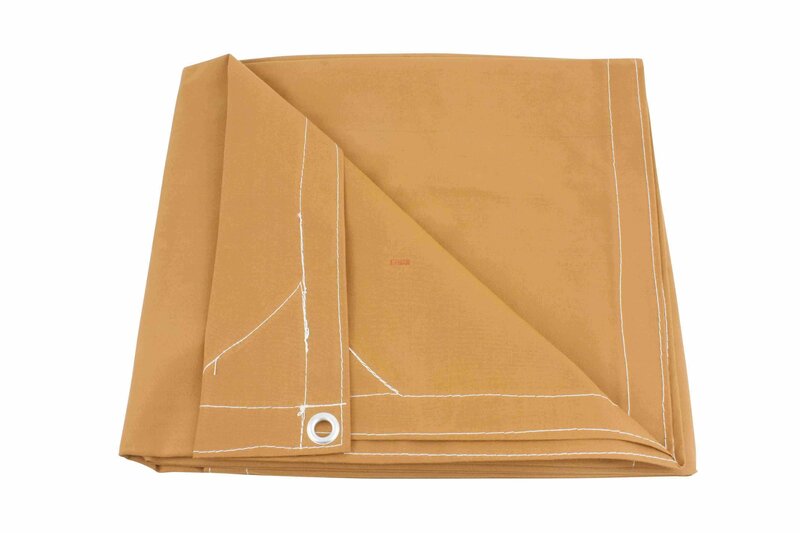 Weight of 6' x 8' Canvas Tarp is 5 lbs.